Compare your demand planning process with best practices using this graphical tool! 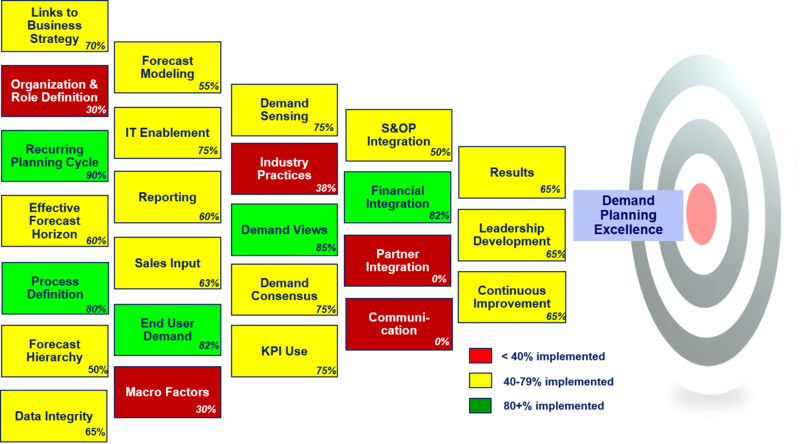 Using this simple and economical toolkit, change leaders can now leverage Nexview experience and methods that have been used to improve the demand planning capabilities of several global corporations. If you’d like to avoid these “details” and get a well thought-out tool for a modest cost, please read on. 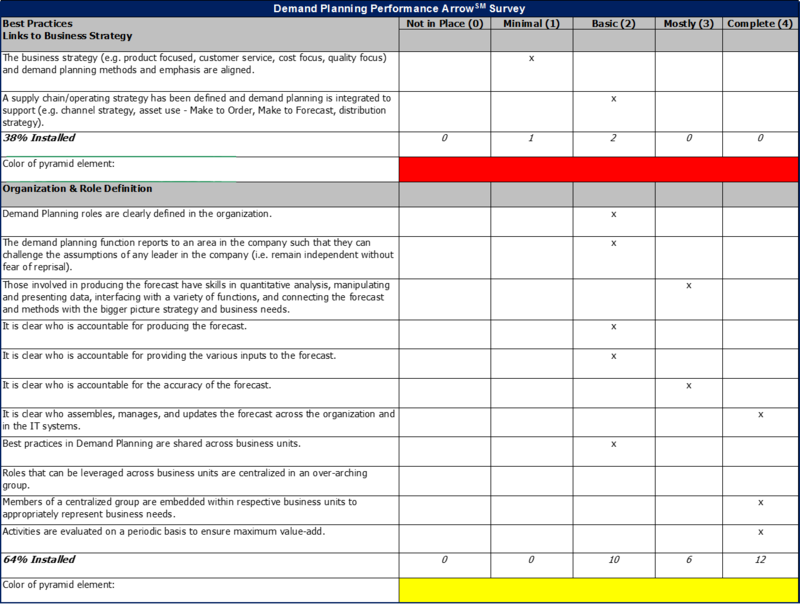 The Nexview Demand Planning Performance ArrowSM is a best practice benchmarking tool we use at the beginning of an assessment to get the perceptions of individuals and groups throughout the organization. For us, it gives directional indicators that set the stage for further study and quantitative analyses that lead to a benefits case and definition of an improvement program. We follow up with the tool during an implementation project to define a maturity and continuous improvement path. We also use and include this tool in our training course for participants to benchmark their current process. You get the tool, administer the survey, and summarize the conclusions/messaging for your team. Or – sign-up for a Bronze Membership and get all our Self Assessment Toolkits for a bundled savings. We work with you to administer the survey in your organization. 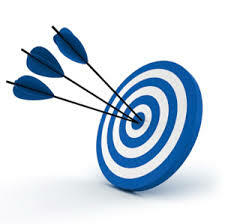 We will administer the Demand Planning Performance ArrowSM survey online to as broad an audience as you desire. This is how we normally do it during on-site assessments. After your purchase, we will contact you within 48 hours to begin the survey administration as described above. 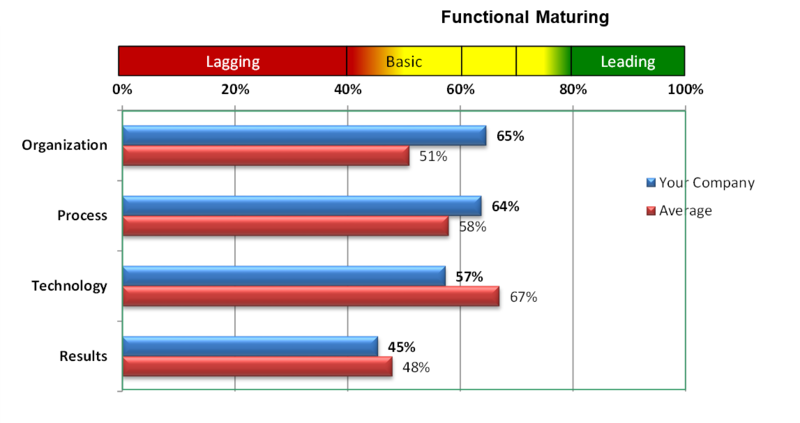 Administering the survey manually with the download Excel tool can be some work for larger organizations. If you buy the download version and later decide that you’d rather have our support for the automated version, no problem, just pay the difference.